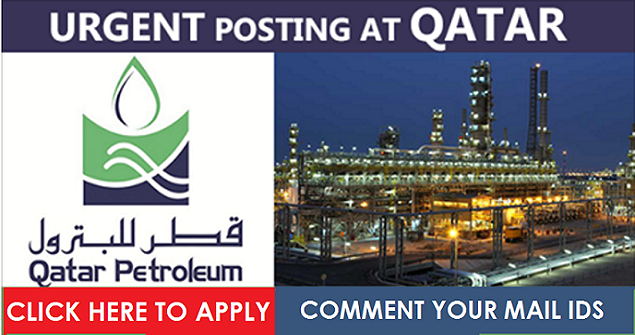 Qatar Petroleum Jobs in Qatar. If you are an experienced worker within the petroleum industry, you may want to consider relocating to Qatar. This Middle-Eastern country's economy is heavily centered around the energy sector and there are many vacancies available for qualified and experienced professionals. Qatar Petroleum is the state owned national petroleum company that operates all of the gas an oil activities within the country including refining, production, transport, storage and exploration. As the third largest global oil company, Qatar Petroleum is one of the best employers within the industry to work for and offers plenty of excellent employment opportunities across the sector. If you are looking for Qatar Petroleum jobs in Qatar, this article will give you more information about the things that you need to know. Qatar covers a geographical area of about 12 thousand square kilometers and has a population of more than 2.4 million people. It is the smallest of the OPEC member countries in terms of its population and its area, being located on a peninsular which is attached to the Arabian Peninsular. Doha, its capital city, has a population of about 400,000 people and the country's official language is Arabic, however there are many workers from all over the world living here attracted by the excellent quality of life, high salaries and benefits. Petroleum is Qatar's main industry, generating the majority of the state's GDP, however Qatar also has other natural resources with foodstuffs and natural gas being among them. Oil exploration in Qatar began as recently as 1935 at the Dukhan field, with commercial exportation from the field beginning between 1939 and 1940. In less than a century, the industry has expanded massively, and taken together, natural gas and oil account for about 55% of the country's GDP and its petroleum industry has made the country one of the fastest growing in the world as well as one of the countries with the highest per capital income. As a state owned company, Qatar Petroleum is able to offer its employees many excellent benefits that make working for this employer very attractive. Jobs with this company offer candidates an impressive tax free salary as well as free dental and medical treatment, a transportation allowance, annual leave credits, airfares paid to the employee's home country, assistance with children's school fees and full family status for the employee's spouse and dependents. There are jobs for professionals at many levels and in several fields including for qualified engineers, managers, finance controllers, supervisors, security officers, project planners, geophysicists and operators. Qatar Petroleum's human resources division control the company's recruitment process, with every candidate being chosen on the basis of their ability and merit. All jobs are advertised on the company's own website as well as on other industry-related websites and with international specialist recruitment agencies. Depending on the job applied for, candidates who are short listed for a position may need to undergo certain evaluation processes such as written tests or interviews on site in order to identify their suitability for the post. Candidates from overseas also have to complete certain formalities in order for their employment visas and work permits to be processed. The first stage of the recruitment process involves applying for a post. Each candidate may only apply for a maximum of 3 positions that match their qualifications, experience and skills. The second stage is the reviewing of the application. Candidates who are shortlisted are contacted directly and then participate in the interview stage which may either by via a video or telephone conference or onsite in a face to face setting. 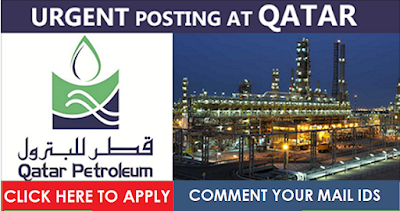 During the interview, a Qatar Petroleum recruiter will assess whether the candidate is a good fit with the company while giving the applicant further information about the job and the company itself. If the candidate is selected for the post, they then receive a letter confirming their success. The company undertake several pre-employment checks before offering a post including verification of educational qualification, a check of criminal records and verification of previous work experience through the checking of references.